Originally from Brittany, in the upper North Western region of France, Sam Jonnery has been in Canada for 14 years. His formal wine training was developed through courses with the Wine & Spirit Education Trust (WSET) and the International Sommelier Guild (ISG). But as with most passionate restaurant people, his skill with his craft has been honed by listening to and observing his guests. Sam loves the challenge of matching the bottle to the occasion, and the amateur chef in him looks forward to creating unexpected but delicious food and wine pairings. Rather than feeling limited by Gotham’s steak–centric menu, Sam can speak expertly to the nuances between beef cuts, and the many opportunities to match the body and flavour profile in the bottle to that on the plate. 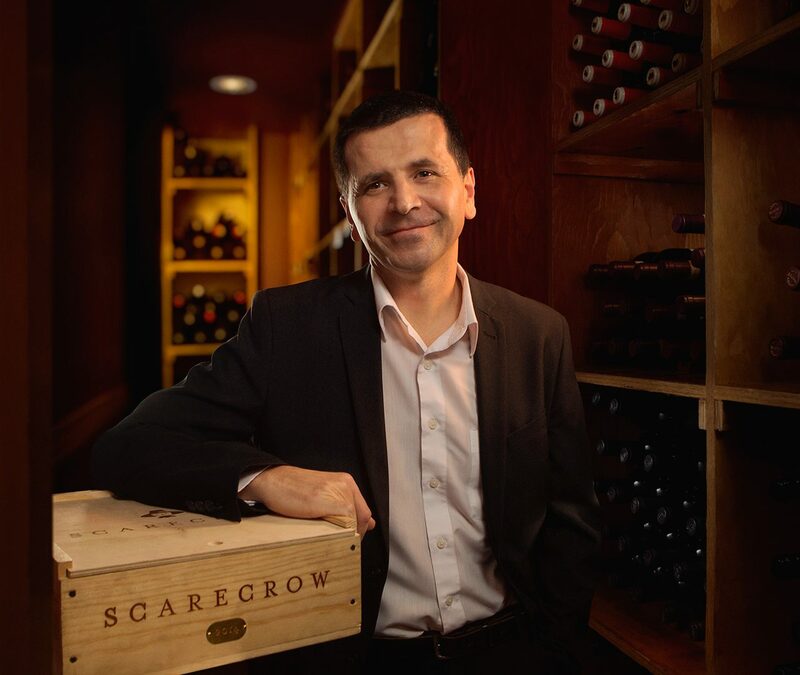 The ever–changing wine world keeps Sam engaged, as does the task of managing an extensive, deep and award–winning wine cellar. He doesn’t have a particular favourite region, but he admits being partial to red Burgundy and German Riesling. He finds that although his guests have traditional tastes, most are open to learning and trying the unexpected. That gives him the green light to suggest an Oregon Pinot Noir, or even an oaky chardonnay or aromatic viognier with one of Chef Jean Claude Douguet’s special veal chops, or the leaner cut of filet mignon. Of course, great champagne “goes with everything” — but can’t miss when paired with Gotham’s decadent Seafood Tower. A serious wine program requires serious commitment to research, purchasing and training. Sam reads, studies what sells, and tastes what catches his interest. He conducts regular informal tastings, and testing, with service staff. He loves working with his real time iPad wine list, where every listing is current and detailed. And he’s a great fan of Gotham’s Coravin system, which allows the purchase of a glass of wine from any of the impressive selection of cult classics or lesser known gems on the list. Recognizing that nowadays guests have much more knowledge at their fingertips, he is challenged by misconceptions about certain wines and regions. And frustrated when guests are nervous about working with a Sommelier for fear of being pressured into a purchase beyond their means. Quite the opposite, Sam will work with any budget and taste; all of this experience, effort and passion is happily shared. He loves being the one “guests are happy to see” at their table.